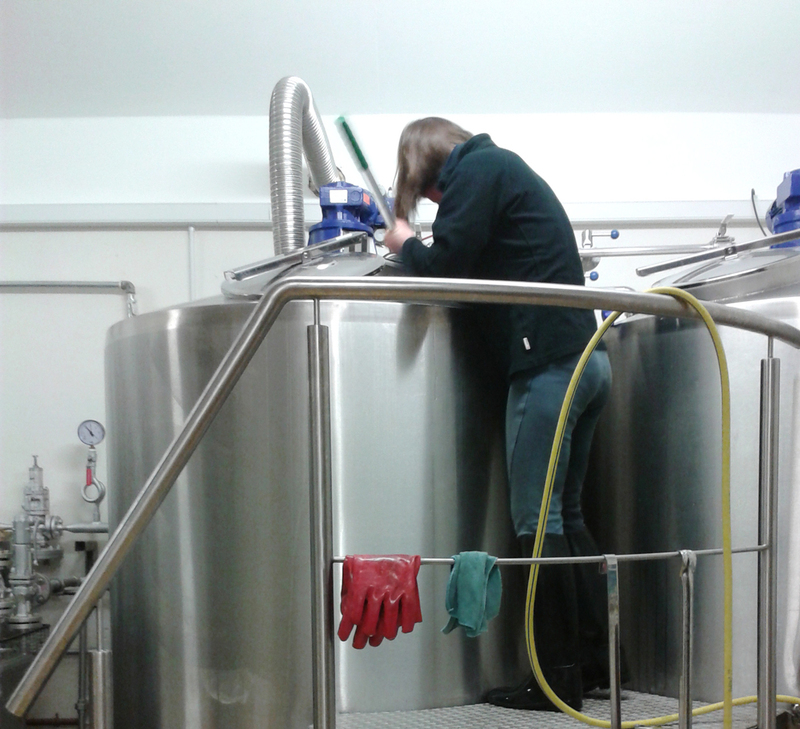 Although four young ladies flexed their brewery muscles for Collaboration Brew Day, Rachel was the undisputed star of the show as our contribution to International Women’s Day made its way safely through the brewhouse and into a waiting fermentation vessel. The Pink Boots Society’s “Unite Pale Ale” recipe allowed just the right amount of leeway for personal interpretation. Our brew initially threatened to end up darker than the specified EBC of 10 but after a day in the tank all looks rosy. Fingers crossed. Now we sit back and wait for three or four weeks before enjoying our next Kinnegar Special, a 4% session beer. This entry was posted on March 9, 2014 by kinnegarbrewing. It was filed under On the ground .